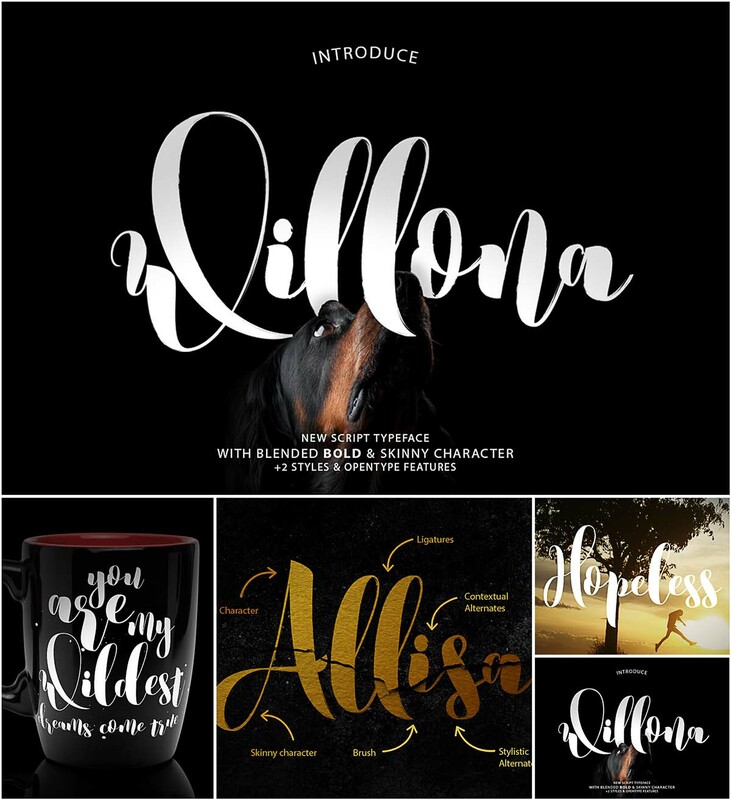 Introducing Willona a new brush script font with blended bold and skinny character. Willona Typeface is a new gorgeous script typeface for typography, lettering, logotype and more. Tags: bold, brush, calligraphy, script, typeface, typographic. I would like to download this free font, where is the link?